Okay, by now, you've probably figured I have an addiction to bread things. As well as cookies. Cookies or bread, cookies or bread....Hmm....I think it depends on the time of day and my mood. Luckily, both go well with coffee. Nom nom nom. It's called a butter horn and it's all buttery sweet goodness. I suppose I should have cut it open to show you the inside, but I scarfed it in seconds along with my coffee. 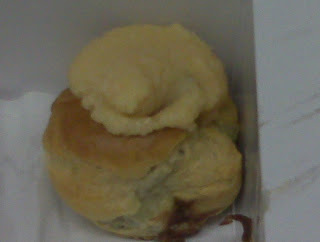 Now this puppy is about 6 inches big so it's not a delicate little pastry, but it is light and fluffy. I taste the butter, cinnamon and those crunchy little blobs which are probably sugar and butter! This is a bear claw, see the little claws at the top of the picture? 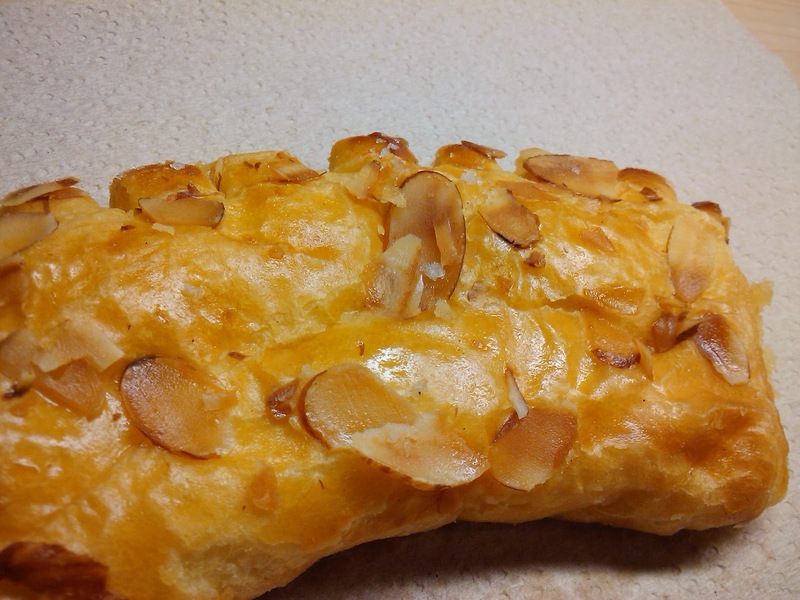 They flute the pastry so it looks like that. 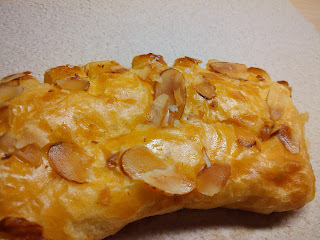 Sliced almonds decorate the pastry and inside is an almond paste (not quite marzipan, but definitely not almond butter). 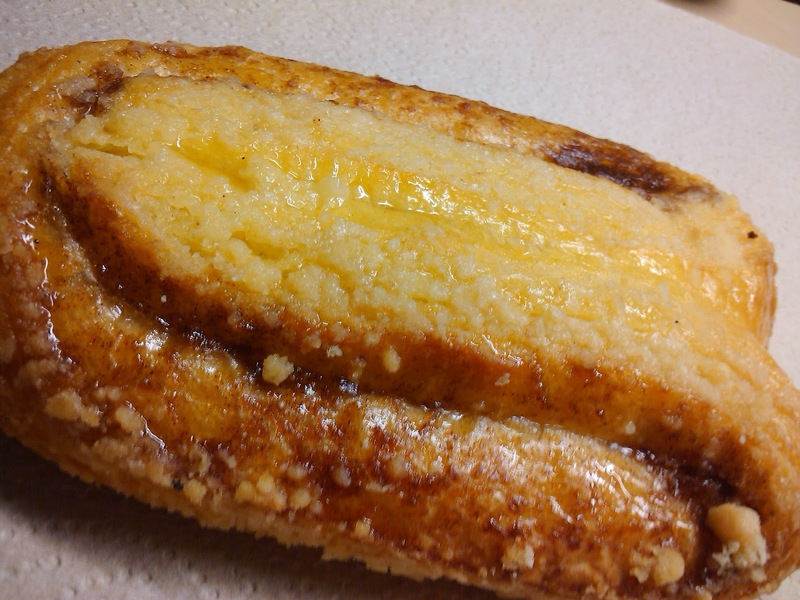 I like it, but today, it was just not as yummy as the butter horn. I must have needed my daily dose of saturated fat. And yes, I should have cut them in half and only eaten half of each, but I really enjoy these tummyaches afterwards ;) Hot coffee with Splenda and cream usually helps moments like these (I think it gets the fat moving towards my hips).